As you undoubtedly know, configuring and installing OpenCV on your macOS machine can be a bit of a pain. To help you and other PyImageSearch readers get OpenCV installed faster (and with less headaches), I put together a tutorial on using Homebrew to install OpenCV. Using Homebrew allows you to skip manually configuring your build and compiling OpenCV from source. Instead, you simply use what are called brew formulas which define how a given package should be automatically configured and installed, similar to how a package manager can intelligently install libraries and software on your system. 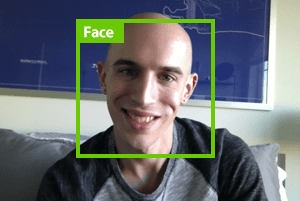 However, a bit of a problem arose a few weeks ago when it was discovered that there were some errors in the most recent Homebrew formula used to build and install OpenCV on macOS. 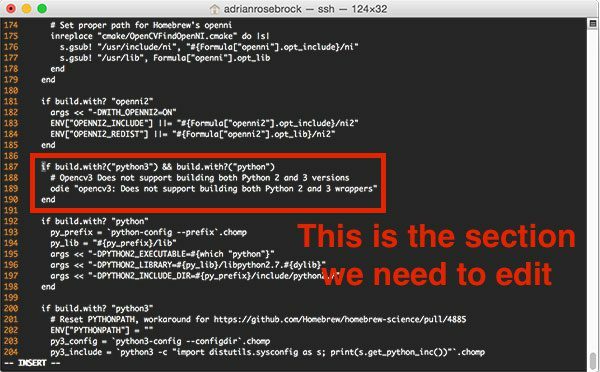 Error #1: A report that both Python 2 and Python 3 wrappers could not be built (this is not true, you can build both Python 2.7 and Python 3 bindings in the same Homebrew command). Error #2: A missing downloader.cmake file. Myself, as well as PyImageSearch readers Andreas Linnarsson, Francis, and Patrick (see the comments section of the Homebrew OpenCV install post for the gory details) dove into the problem and tackled it head on. Today I’m going to share our findings in hopes that it helps you and other PyImageSearch readers install OpenCV via Homebrew on your macOS machines. In an ideal world these instructions will eventually become out of date as the Homebrew formula used to configure and install OpenCV is updated to correct these errors. To learn more about resolving Homebrew errors when installing OpenCV, just keep reading. 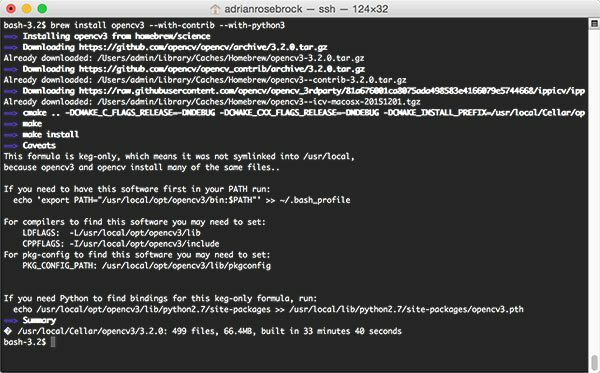 In the remainder of this blog post I’ll discuss common errors you may run into when installing OpenCV via Homebrew on your macOS system. I’ll also provide extra bonus suggestions regarding checking your Python version to help you debug these errors further. 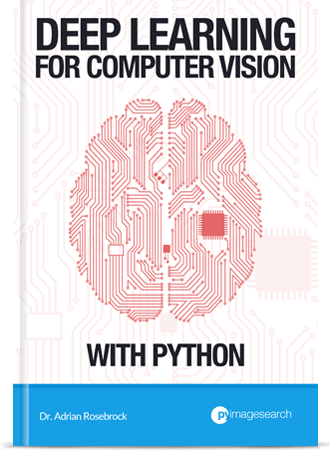 …because Homebrew can be used to compile OpenCV twice: once for Python 2.7 and then again for Python 3. 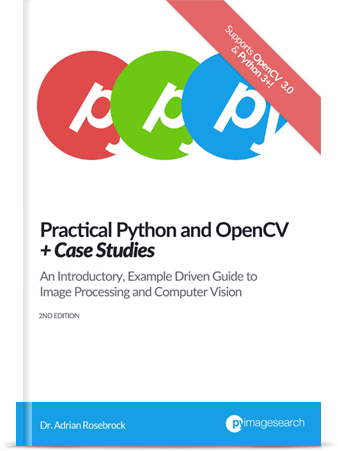 To start, OpenCV 3 can be built with Python 2.7 and Python 3 bindings. It just requires two separate compiles. The first compile handles building OpenCV 3 + Python 2.7 bindings while the second compile generates the OpenCV 3 + Python 3 bindings. Doing this installs OpenCV 3 properly while generating the correct cv2.so bindings for each respective Python version. There are two ways to resolve this error, as discussed in this StackOverflow thread. Notice how we have left out the --with-python3 switch. In this case, Homebrew automatically builds Python 2.7 bindings for OpenCV 3 (there is no --with-python2 switch; it’s automatically assumed). Here we supply --with-python3 to indicate we would like OpenCV 3 + Python 3 bindings to be generated, but to skip generating the OpenCV 3 + Python 2.7 bindings using the --without-python switch. This method works; however, I find it both frustrating and confusing. To start, the --without-python switch is extremely ambiguous. If I were to supply a switch named --without-python to an install command I would assume that it would build NO Python bindings what-so-ever, regardless of Python version. However, that’s not the case. Instead, --without-python really means no Python 2.7 bindings. These switches are confusing to both OpenCV install veterans such as my myself along with novices who are just trying to get their development environment configured correctly for the first time. In my opinion, a better solution (until a fix is fully released, of course) is to edit the OpenCV 3 install formula itself. 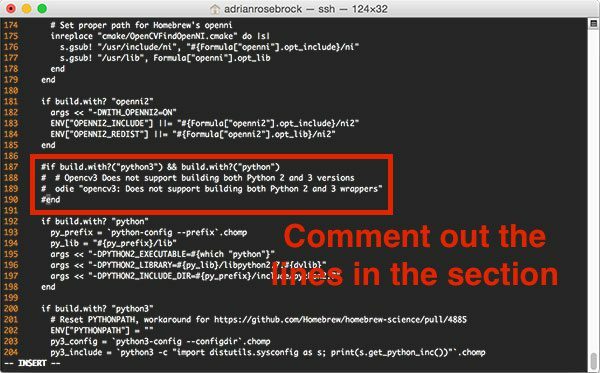 odie "opencv3: Does not support building both Python 2 and 3 wrappers"
As you can see from my screenshot below, this configuration is on Lines 187-190 (however, these lines will change as the OpenCV 3 Homebrew formula is updated). Figure 1: Finding the Homebrew + OpenCV 3 formula that needs to be edited. # odie "opencv3: Does not support building both Python 2 and 3 wrappers"
Figure 2: Updating the Homebrew + OpenCV 3 install formula to resolve the error. After you’ve commented the lines out, save and exit the editor to update the OpenCV 3 Homebrew install formula. 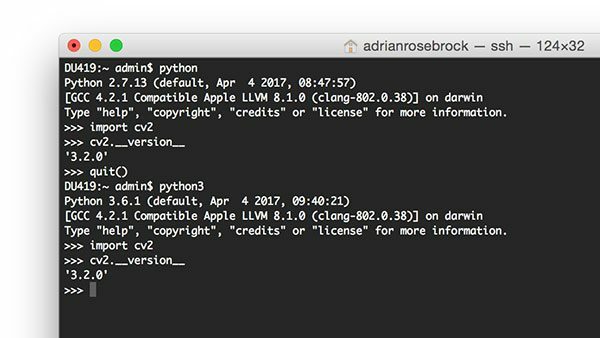 Figure 3: Successfully compiling OpenCV 3 with Python 2.7 and Python 3 bindings on macOS via Homebrew. Note: If you receive an error message related to downloader.cmake , make sure you proceed to the next section. After OpenCV 3 has finished installing, go back to the original tutorial, and follow the instructions starting with the “Handling the Python 3 issue” section. Figure 4: Importing the cv2 library into a Python 2.7 and Python 3 shell. Again, keep in mind that two separate compiles were done in order to generate these bindings. The first compile generated the OpenCV 3 + Python 2.7 bindings while the second compile created the OpenCV 3 + Python 3 bindings. The second error you may encounter when installing OpenCV 3 via Homebrew is related to the downloader.cmake file. This error only occurs when you supply the --HEAD switch to the brew install opencv3 command. The reason for this error is that the 3rdparty/ippicv/downloader.cmake file was removed from the repo; however, the Homebrew install formula has not been updated to reflect this (source). Therefore, the easiest way to get around this error is to simply omit the --HEAD switch. Provided you’ve followed the instructions from the “Error #1” section above, Homebrew should now install OpenCV 3 with Python 2.7 and Python 3 bindings. 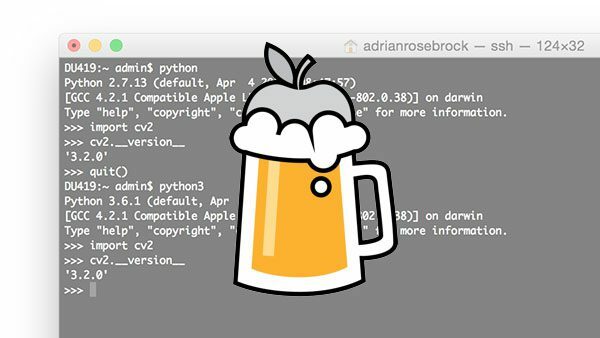 You’ll now want to go back to the original Homebrew + OpenCV tutorial, and follow the instructions starting with the “Handling the Python 3 issue” section. If you’re new to Unix environments and the command line (or if this is the first time you’ve worked with Python + OpenCV together), a common mistake I see novices make is forgetting to check their Python version number. 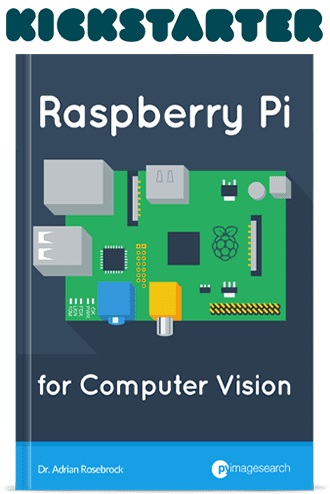 The original Homebrew + OpenCV install tutorial was written for Python 2.7 and Python 3.5. However, Python versions update. Python 3.6 has been officially released and is being used on many machines. In fact, if you were to install Python 3 via Homebrew (at the time of this writing), Python 3.6 would be installed. This is important because you need to check your file paths. Notice how python3.5 was changed to python3.6 . Forgetting to check and validate file paths is a common mistake that I see novices make when installing and configuring OpenCV with Python bindings. Do not blindly copy and paste commands in your terminal. Instead, take the time to understand what they are doing so you can adapt the instructions to your own development environment. In general, the instructions to install OpenCV + Python on a system do not change — but Python and OpenCV versions do change, therefore some file paths will change slightly. Normally all this amounts to changing one or two characters in a file path. Error #1: A report that both Python 2 and Python 3 wrappers could not be built. I then provided solutions to each of these errors thanks to the help of PyImageSearch readers Andreas Linnarsson, Francis, and Patrick. I hope these instructions help you avoid these common errors when installing OpenCV 3 via Homebrew on your macOS machine! Before you go, be sure to enter your email address in the form below to be notified when future blog posts are published on PyImageSearch! Its sad that the hardest part about learning OpenCV is installing the damn thing! You are quite right, Ryan! I was thinking the same. But finally – I was able to manage it and got it working. Thanks to this awesome post. If you’re installing from scratch you may encounter an issue where the site packages for your virtual environment do not work. You can tell this is the case if things work fine outside of the virtual environment (you can perform an import cv2 without issues), but it fails from within the virtual environment. Hi Greg, thanks for the comment. Although I wouldn’t suggest enabling global site-packages as that can defeat the purpose of Python virtual environments in the first place (since the goal is to keep packages sequestered and independent from each other for each project). Instead, I would recommend that you sym-link your cv2.so bindings into your Python virtual environment rather than trying to toggle the global site-packages. I don’t totally disagree, but manually sim-linking bindings across environments felt even worst to me than flipping the global bit. If I have to symlink libraries to get things to work consistently, there is a lot less value in having the virtual environment. Hi Greg — if your browse your system install packages (especially if you’ve ever updated a Unix machine) you’ll know that sym-links are generated to point to the latest version of a particular library on your system. It may seem like a “hack” but sym-links are an important aspect of Unix machines running efficiently. Similarly, there is nothing wrong with using a sym-link in a virtual environment to keep your environments independent. In either case, I’m happy that you found a workflow that works for you! I feel like I’m extremely close to installing openCV. I was able to navigate to /usr/local/opt/opencv3/lib , but I don’t have a python folder of any sort within that path. Do you know what the problem could be? Hi Cade — it sounds like you did not install Python 2.7 or Python 3 via Homebrew. Oh hey, just noticed you mentioned me after the comments in the last post 🙂 thanks for pulling this together, I’ve just now finally been able to get it installed and working (ended up also having to run brew update-reset to make it work before trying brew install opencv3 –without-python –with-python3 because of whatever I had done before). Hey Patrick — it was with your help that I was able to get this updated blog post out 🙂 Thank you again. Great install tutorial! Found it very helpful with the Python 2 + Python 3… One issue I’m having is with cv2.imshow() and cv2.waitKey() – neither of these work in Mac OS (Sierra) for me and it appears as if it’s a problem for many people. Are you able to get this working on a Macbook Pro? This is an issue with the latest commit of OpenCV in the GitHub repository. Simply remove the --HEAD switch from your Homebrew command and it will resolve the issue. The nice thing about pillow is that is uses Mac’s native Preview. Wish me luck. I’m going to install openCV for python 2.7 and python 3.6 and java bindings. I really appreciate these blog posts and instructions. And I can’t go any farther. How should I proceed to get python3 bindings linked? Hey Alex. By default Brew uses the “vim” editor for any edits you want to make. In order to comment out those 4 lines, press “i” to enter insert mode. Any key your press should then appear before the cursor and it will behave like a normal editor. When you are finished editing, press esc to exit insert mode. To save the file press esc again to enter command mode (window will flash). Once in command mode type “:wq!” and press enter to execute a write and quit. To be sure the changes took, run “brew edit opencv3” again and make sure the lines are still commented out. Good luck! Some time ago the Homebrew team decided to rename opencv3 to opencv and the former opencv to opencv@2. They also migrated the formula to homebrew/core and at the same time removed a lot of the build options we are used to. By default it will now install bindings for both python version 2 and 3 as well as eigen, ffmpeg, libpng, libtiff, openexr and numpy. If any of the python versions are missing it will install that too. This will create python2 cv2.so object as well as the python3 cv2.cpython-36m-darwin.so cv2.so object as being described earlier. Sadly the simplified formula now has no Cuda support option. Hi Paul — Homebrew is nice but if you want full control over the compile I would recommend compiling OpenCV from source. 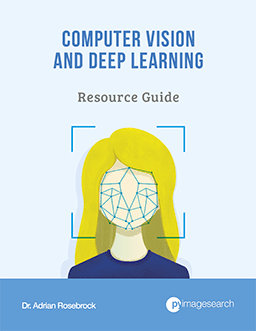 I have a number of tutorials that discuss how to compile and install OpenCV. You can find them here. Hi, I’ve installed everything on my mac but I keep getting clang error: linker command problems. Apparently kernel framework not found? Can you help me with this? now both python and python3 see cv2.so. I suppose there will be gotchas if I try to use python virtual environments. Any advice on the long term? Should I give up the ability to use both 2 and 3 from the command line and always use virtual environments for python3 use. I would highly recommend that you use Python virtual environments for both Python 2.7 and Python 3. In Jupyter whenever I am running imshow command display window getting freezes. any suggestion or solution? You cannot use cv2.imshow with Jupyter. Use “plt.imshow” from matplotlib instead. When attempting to execute the brew install opencv3 –with-contrib –with-python3 command, the following error occurs: Error: invalid option: –with-contrib. Have you tried following my latest OpenCV 4 and macOS install guide? Give it a try and see if it resolves the problem for you. Could you resolve this issue? I am also facing the same issue.